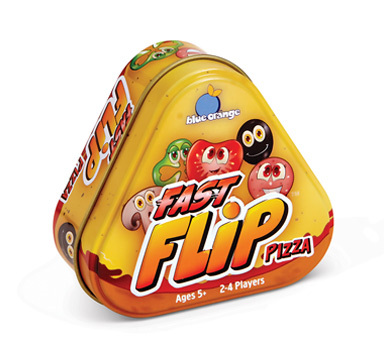 The delicious mini version of a Blue Orange original, Fast Flip! Flip a card and match a topping to a number, or a number to a topping. With mushrooms, peppers, tomatoes, olives and pepperonis this game comes fully loaded. 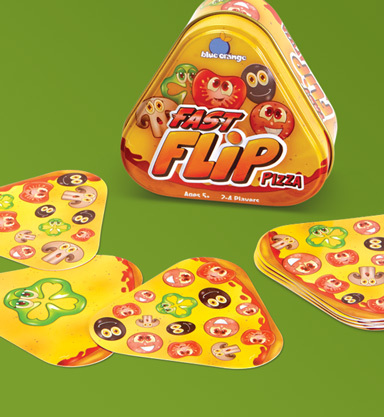 Like all Fast Flip games, Fast Flip Pizza contains a special recipe that guarantees there is only one answer between any two cards, promising addictive pizza-flipping fun for everyone to enjoy!